It can take years to properly understand Google Analytics and learn how to pull meaningful data from the reports, which can be super confusing for anyone starting out blind, without any formal training. There are several online Google Analytics guides that teach you the basics - I specifically recommend the Simple Business Google Analytics Guide and the Moz Beginners Guide to SEO. But there is a much more useful tool that skips out the complicated and time consuming process of learning how to pull separate reports in order to compare data - and I’m going to share this with you. 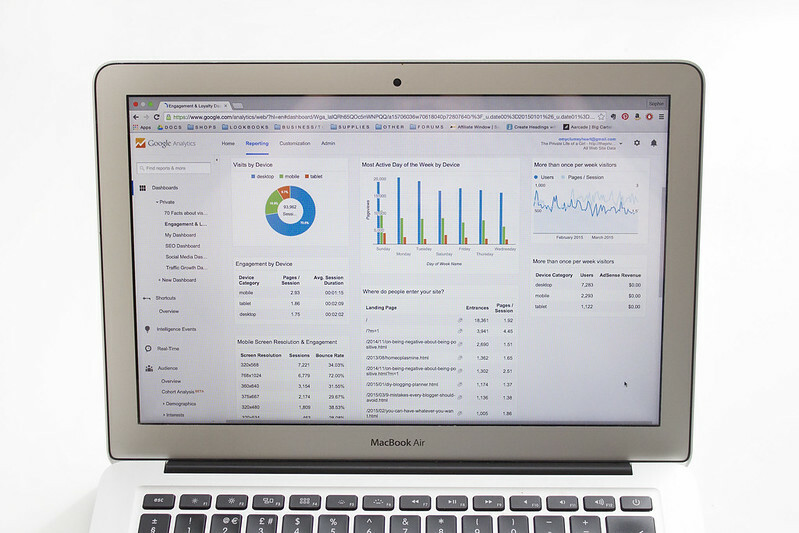 Google Analytics Dashboard is your new friend. Dashboards are made up of a collection of widgets that pull data automatically and provide you with an overview of the reports and metrics that are most important to you. Widgets are essentially mini-reports, presenting data and custom reports in various styles including numeric metrics, tables and charts. While custom reports are far more specific, dashboards can help you access the data at a glance. You can create up to twenty dashboards, which you can build yourself or install pre-made reports - this is where things get more interesting and useful. Here are six custom dashboards I personally use on a regular basis and highly recommend using to monitor sales, traffic, and revenue. Great post - went ahead and added all of these widgets to my google analytics dashboard! I am first time to use blog but I do not understand how to use it. If is it exactly? This is great thank you so much - I always use this now to understand my readership growth! I need to fix mine! It's all over the place! I'm just starting to use Google Analytics, so I really appreciate this post! I am always struggeling to understand what each section means and how to improve it. Really need to dig in deeper to finally get a better result for my page. Dashboards are a great place to start. I find dashboards to be the best way to grab data immediately rather than trawling through separate reports and trying to compare them. I'm not sure I understand.. I actually disagree, I think Google Analytics IS complicated - that's why people are hired to run these reports for businesses :)) I used to work in a marketing position where it was my job to analyse these results. Some people just don't have the time to learn everything about Google Analytics or how to compare reports, and without doing that it's hard to understand the data. Data is only useful if we understand what it means in comparison with other specific data. Most stats are useless when looked at on their own and teaching people how to compare the information and draw conclusions from it is very difficult. Dashboards make it easy for people to see very basic data and draw conclusions from it immediately - for example, knowing how many people view on mobile/desktop/etc. meaning they can adjust their website/blog accordingly. They are super useful and save A LOT of time! Well this is the most useful thing I have ever seen when it comes to Google Analytics. Thank you! This is going to distract me from the terms of a contract revision which I should be doing right now. I actually really like using google analytics, haha its really useful. Thanks for the tips!